Manager of the Planning Institute of Jamaica (PIOJ) Social Protection Unit, Collette Robinson (left), converses with, from 2nd left, Social Research Consultant, Carol Watson Williams; Programme Manager for the PIOJ’s Poverty Reduction Coordinating Unit, Shelly Ann Edwards; and Director for the Institute’s Social Policy, Planning and Research Division, Easton Williams, during Thursday’s (November 3) presentation of the School-to-Work Transition of the Deaf in Jamaica Study. The presentation took place at the PIOJ’s head office in New Kingston. The study, which was administered under the Government of Jamaica/World Bank Social Protection Project, was conducted between February and October 2015. It is anticipated that the study will serve to guide persons and organizations on the best approaches to accommodating the hearing impaired. 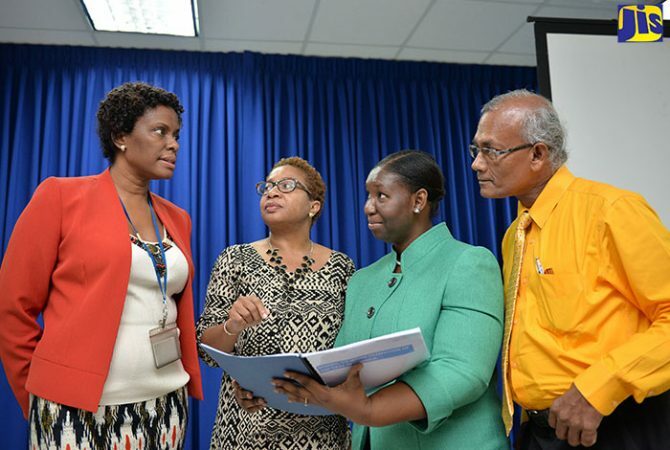 A Planning Institute of Jamaica (PIOJ)-commissioned study shows that an overwhelming majority of private sector organizations canvassed would recruit persons with hearing impairments. The School-to-Work Transition for the Deaf study notes that 94 per cent of the interviewees believe, among other things, that members of this group should be given similar opportunities, inclusive of employment, as are afforded to persons without disabilities. 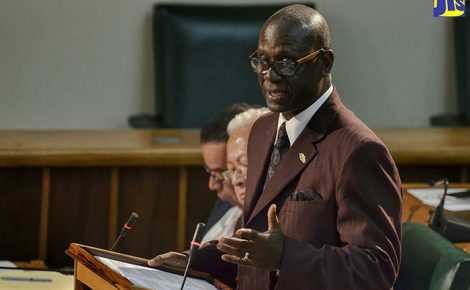 This, despite some of these employers having never worked or interacted with persons with hearing impairments, the document further pointed out.The study, which was administered under the Government of Jamaica/World Bank Social Protection Project, was conducted between February and October 2015. 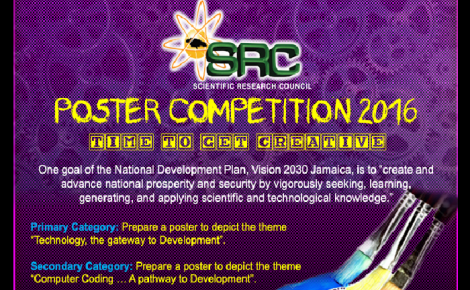 It targeted 160 institutions involved in various industries across Kingston and St. Andrew, Mandeville and Montego Bay. The study sought to explore the challenges and opportunities facing members of the hearing impaired community islandwide, particularly those transitioning into the world of work. Its findings were presented by Social Research Consultant, Carol Watson Williams, during a stakeholders meeting at the PIOJ’s head office in New Kingston, on Thursday, November 3. Mrs. Watson Williams said while persons expressed general uncertainty about what interactions with the hearing impaired entailed and the possible implications for them and their organizations, no negative sentiments were conveyed. She said the major concerns, particularly among the just over 22 per cent of employers, related to miscommunication and the ability of these persons to integrate and follow instructions; and the need for the other employees to learn sign language in order to better interact with their colleagues. Mrs. Watson Williams indicated that at least two of the participating organizations have instituted arrangements for their staff to access sign language training, if desired. “What we have seen from the employers is an overall positive attitude towards the employment of the hearing impaired and their potential and skills. But most of the employers who had employed hearing impaired persons (indicated that they) had positive experiences in doing so,” she added. Mrs. Watson Williams said the study provides several recommendations consequent on the concerns raised. These, she outlined, include: the Government’s provision of strategic leadership and a “clear” example on the issue by ensuring that persons with hearing impairments are recruited in the public service. She also alluded to policy provisions which she said have been formulated to facilitate this undertaking. 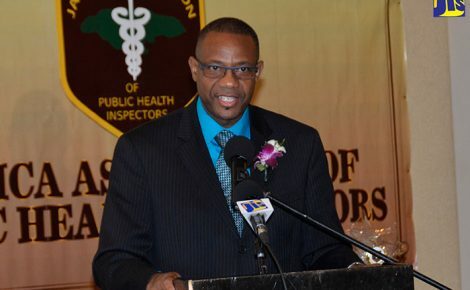 “I think it’s important that an organization, like the Planning Institute of Jamaica, and the Ministry of Labour and Social Security, work with other Ministries, Departments and Agencies to help them facilitate the employment of persons who are deaf and, more widely, persons who are disabled,” the Consultant stated. Other recommendations, Mrs. Watson Williams informed, include: strengthening of the Jamaica Council for Persons with Disabilities (JCPD) to work with employers to develop inclusive organizations that accommodate these persons; partnerships between the JCPD and service providers to design and execute a highly visible behaviour change campaign to reinforce the potential of the hearing impaired; and establishing a Transition Advisory Board comprising representatives of JCPD and businesses, notably the Jamaica Employers’ Federation (JEF) and Private Sector Organization of Jamaica (PSOJ). Manager for the PIOJ’s Social Protection and Gender Unit, Collette Robinson, told JIS News that the public will shortly have access to the study, which will be posted on the Institute’s website. Additionally, she said copies will be disseminated to various public and private sector stakeholders. “The role of the PIOJ is to raise the awareness of persons…because we don’t want our hearing impaired citizens to fall through the cracks. We anticipate that the kinds of discussions that (were) heard today, will continue,” she added. Jamaica’s Social Protection Strategy is a set of provisions incorporating public and private sector initiatives, guided by state policies, to prevent, address and reduce the risks of poverty and vulnerability consequent on the lack of, loss or interruption of income. Its objective is to ensure acceptable living standards for persons above specified levels, through effective social, economic and labour market policies that support income security. The Social Protection Strategy is a major outcome of the Vision 2030 Jamaica National Development Plan, being administered by the PIOJ.